Corneal collagen crosslinking was effective in improving the maximum keratometry value, corrected vision and uncorrected vision in eyes with progressive keratoconus 1 year after treatment, with an excellent safety profile. Corneal collagen crosslinking affords the keratoconic patient an important new option to decrease progression of this ectatic corneal process. Transepithelial (Epi-On) crosslinking resulted in significant improvements in maximum K and UDVA over 1 year. There was a suggestion that increased riboflavin dosing might improve procedure outcomes. Further study is required to determine the relative advantages and disadvantages of different transepithelial approaches to the standard (epi-off) crosslinking procedure. The study comprised 104 eyes (66 keratoconus; 38 corneal ectasia). Eyes with a preoperative correctable vision of 20/40 or worse were 5.9 times more likely to improve 2 Snellen lines or more. Eyes with a maximum K of 55.0 D or more were 5.4 times (95% CI, 2.1-14.0) more likely to have topographic flattening of 2.0 D or more of their keratoconic cone. No preoperative characteristics significantly predicted worsening of visual acuity or corneal topography. After corneal crosslinking, patients noted subjective improvement in visual symptoms, specifically night driving, difficulty reading, diplopia, glare, halo, starbursts, and foreign-body sensation. These subjective outcomes corroborate quantitative clinical improvements seen after CXL. Steven Greenstein, MD, Kristen Fry, OD, MS, Peter S. Hersh, M.D. After CXL, more topographic flattening occurs in eyes with centrally located cones and the least flattening effect occurs when the cone is located peripherally. This cone-location effect is found in eyes with both keratoconus and ectasia. 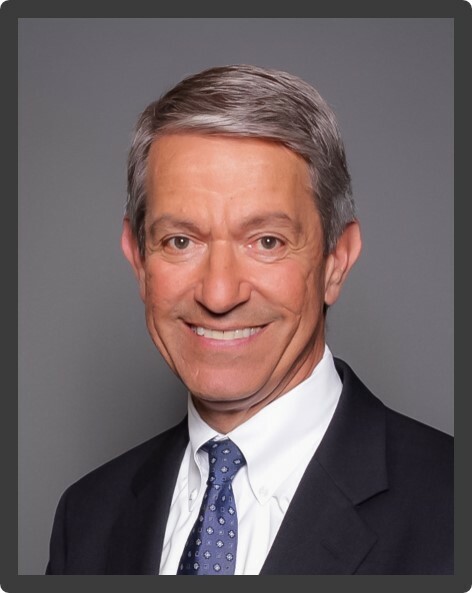 Sebastian Lesniak, MD, Peter S. Hersh, M.D. Transepithelial CXL resulted in a statistically significant improvement in maximun K values and CDVA at the 6-month follow-up. Further follow-up is necessary to ascertain the ability of transepithelial CXL to achieve long-term stabilization of the cornea in eyes with keratoconus. 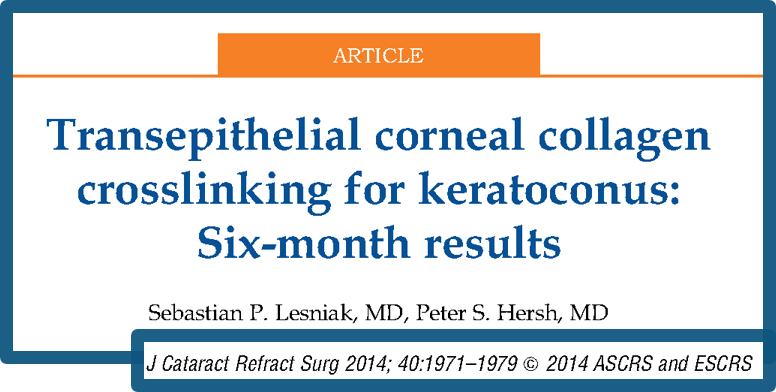 In this study at the CLEI Center for Keratoconus, we looked at the natural history of collagen crosslinking (CXL)–associated corneal hazein patients with keratoconus or ectasia after laser in situ keratomileusis (LASIK). The time course of corneal haze after CXL was objectively quantified; it was greatest at 1 month, plateaued at 3 months, and was significantly decreased between 3 months and 12 months. Changes in haze did not correlate with postoperative clinical outcomes.